WASHINGTONOct. 6, 2016-- NASA and the agency s industry team for the Space Launch System (SLS) rocket and the Orion spacecraft are concluding a successful summer of testing in preparation for the first integrated flight. The uncrewed, three-week mission, currently designated Exploration Mission-1 (EM-1), is scheduled for late 2018. During the mission, SLS will send Orion about 40,000 miles beyond the moon during a flight that will be farther from Earth than any spacecraft built to carry humans has ever traveled. Crew safety is the highest priority as NASA prepares to send astronauts into deep space and eventually Mars, said Tony Antonelli, Lockheed Martin s chief technologist for civil space exploration programs. A rigorous flight test program is critical to ensuring all systems are ready for the journey. 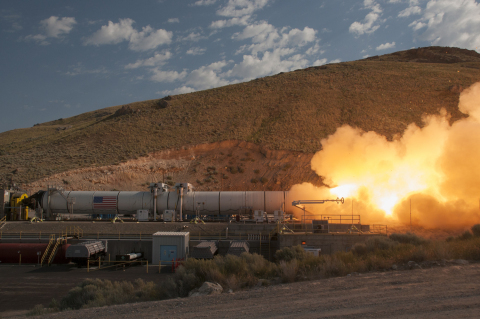 In June, Orbital ATK concluded full-scale solid rocket booster qualification testing at their facility in Promontory, Utah that blasted 3.6 million pounds of thrust during the two minute test burning approximately 1.4 million pounds of propellant at an average of 5.5 tons per second. The SLS boosters and all data to date show the motors performed as expected. Two five segment boosters will provide initial thrust to boost the SLS and Orion off the launch pad and during its first two-plus minutes of flight. Four Aerojet Rocketdyne RS-25 engines will provide thrust to the core stage during SLS launch and ascent. In July and August, the company conducted tests on the RS-25 development engine 0528 at NASA s Stennis Space Center in Mississippi. After testing this summer, RS-25 engine 0528 has accumulated 99 starts and 54,572 seconds of hotfire time, including 1,263 seconds of test time dedicated to SLS development. These state of the art engines will operate for a full 8 minutes, to help boost Orion into orbit. Data from this summer, combined with earlier test data, indicate the RS-25 engines will exceed SLS mission requirements. Each engine produces more than 500,000 pounds of thrust. Boeing, building the core stages in New Orleans, completed welding on the liquid hydrogen tank flight and qualification test articles in the world s largest welding tool. The tank is part of the core stage, which accounts for the largest section of the rocket at more than 200 feet in height. The qualification tank is being readied at NASA s Michoud Assembly Facility in Louisiana for barge transport to NASA s Marshal Space Flight Center in Huntsville for structural loads testing. As other qualification test elements of the core stage are completed, they will be shipped to NASA s Marshall Space Flight Center (MSFC) where the core stage will be assembled for full-up qualification structural loads testing of the massive structure. NASA is completing construction of the tank test stands this fall at MSFC. In addition, NASA accepted delivery of the interim cryogenic propulsion stage test article at MSFC for testing later this year. As NASA readies for the next stage of testing, flight hardware for the first mission is in production for both the core stage and the interim cryogenic propulsion stage, added Jacqueline Nesselroad, director of Boeing operations at Michoud. On the Orion program, Lockheed Martin engineering teams recently finished proof pressure testing of the EM-1 crew module at Kennedy Space Center in Florida, a critical milestone in certifying the structural integrity of the vehicle for its next mission. At the same time, engineers are conducting a series of critical acoustic and vibration tests for the service module at NASA Glenn s Plum Brook Station in Sandusky, Ohio. 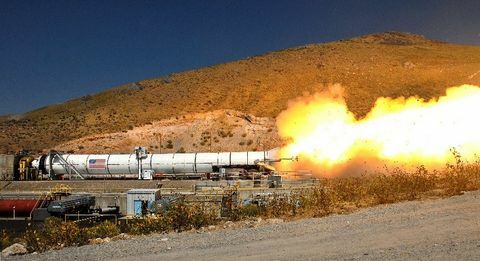 In August, the Aerojet Rocketdyne-manufactured jettison motor for Orion s Launch Abort System successfully test fired 45,000 pounds of thrust at the company s Sacramento facility. 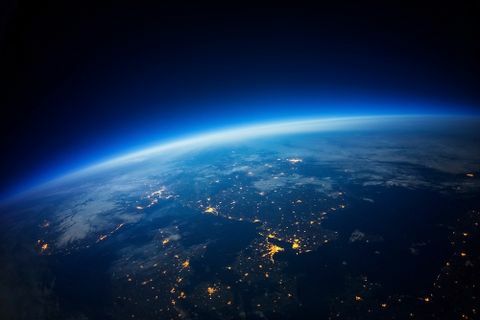 In keeping with the approach of testing like you fly, water impact tests have been conducted by NASA and Lockheed Martin at the agency s Langley Research Center in Hampton, Virginia. These tests study the effects various water landing impacts will have on the crew to ensure engineers understand splashdown scenarios after the space flight. Another critical element in ensuring crew safety is Orion s entry parachute system. The parachutes will slow the capsule down from its high-speed re-entry of 25,000 mph to a relatively gentle 20 mph for splashdown. This fall, the parachute team is beginning qualification tests of the system for human flights, encompassing eight integrated drop tests that will simulate a variety of landing scenarios. 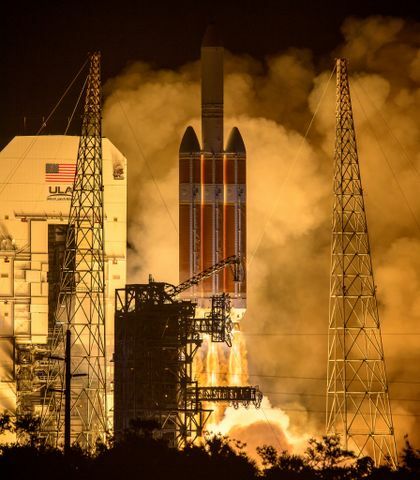 NASA and the SLS and Orion industry team remain on schedule in executing a highly successful test program as the U.S. maintains space leadership through the Journey to Mars, said Julie Van Kleeck, vice president of Advanced Space and Launch at Aerojet Rocketdyne. All of this testing adds up to lowering the risk for astronauts to ensure they arrive and return safely from their destinations. To learn more about EM-1, visit www.exploredeepspace.com.